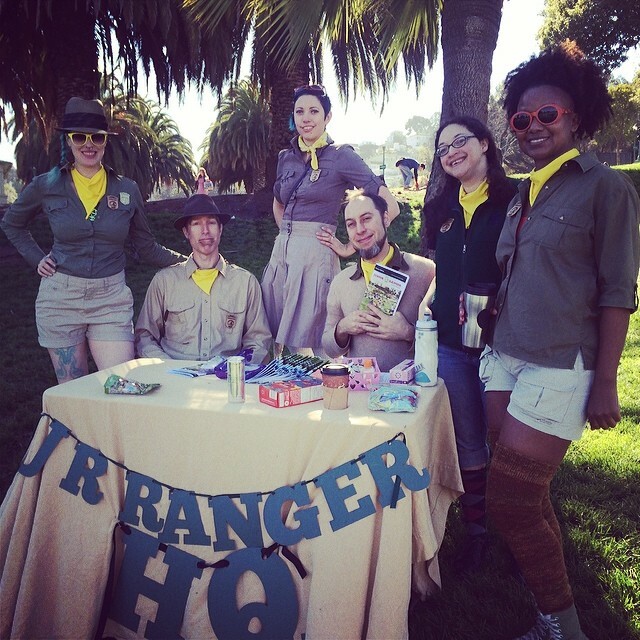 The Junior Rangers is civic responsibly art prank interactive guerrilla theater dedicated to promoting care and enjoyment of our city parks. Passersby are encouraged to take an educational (and often times comedic) tour of the park. We also offer anyone of any age to become a Junior Ranger themselves by completing an activity workbook and helping pick up trash. 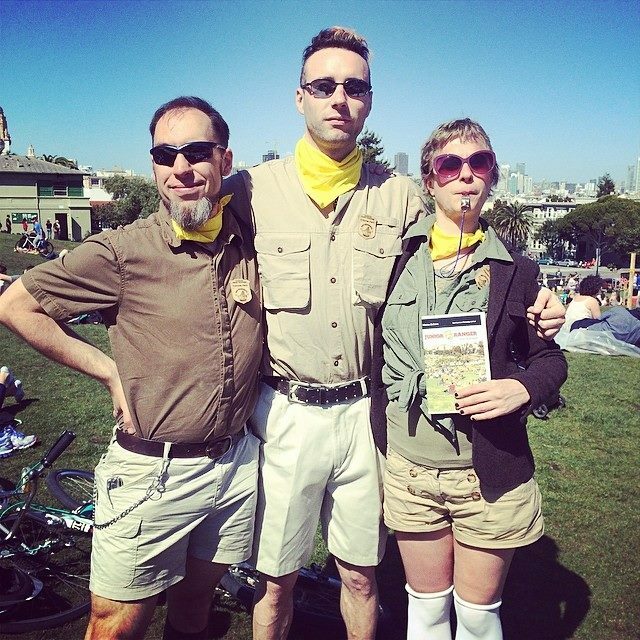 There have been several outings of the Dolores Park Junior Rangers and one special outing of the Safetyville Junior Rangers. Jr. Rangers has teamed up with Everyhere Logistics to bring their brand of civic-minded joy on the road! Their first stop is Sunday Streets – Mission May 10th, as part of a partnership with SFMOMA On the Go Family Programming.